Heat oven to 350ºF. Spray 8-inch square (2-quart) glass baking dish with cooking spray. 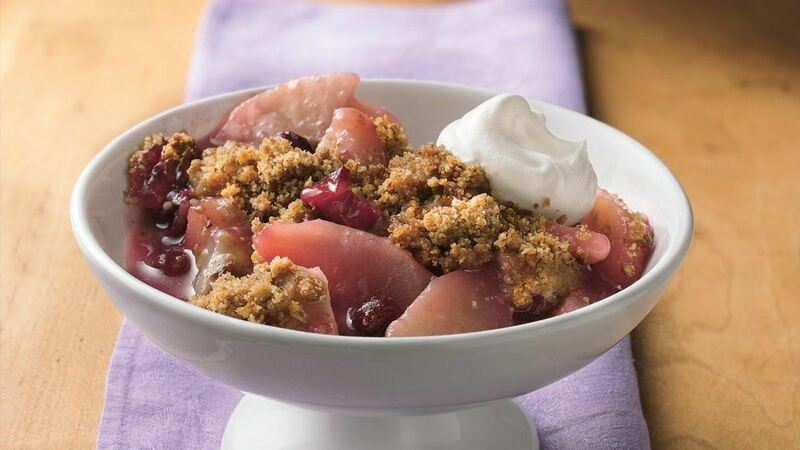 In large bowl, mix pears, cranberries, granulated sugar and 3 tablespoons flour. Spoon evenly into baking dish. How-To: Crush the granola bars right in their pouches, or crush them in a food processor. Did You Know? : If your pears are not quite ripe, let them stand at room temperature for 1 to 2 days.